Feeling like you’re going to pass out. 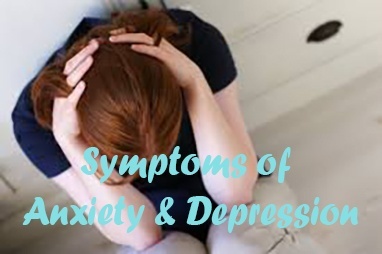 But there are also other ‘conditions’ many people develop that are actually symptoms of anxiety or depression, or perhaps you could describe them as ‘manifestations’ of the how the anxiety or depression is presenting itself that are being treated in isolation when if fact to eliminate the symptom, the anxiety needs to be treated, not the symptom. OCD (Obsessive Compulsive Disorder) is a good example of this, as are eating disorders, excessive drinking, self harm and any sleep disorder. Some forms of ‘therapy’ encourage the patient or client to focus on the problem which not only embeds the problem further, but creates even more anxiety which makes the problem worse. 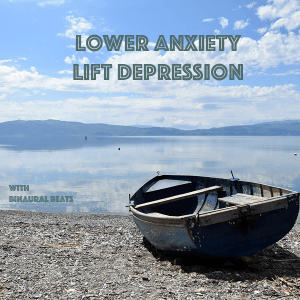 As the symptom worsens, the sufferer themselves focuses more and more attention on the problem, often trying to fight it, creating anxiety and making the problem worse. 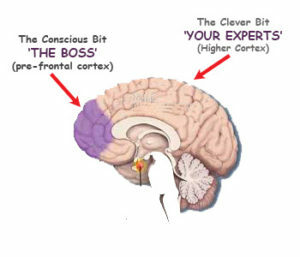 At the moment (because you’re reading this and actively engaged in something clever) your conscious brain is working with your vast intellectual resource, your intellectual brain (the higher cortex). This bit is split into the left and right cortex, the left is your logical side and the right your artistic side. When you are working from your intellectual brain, you normally get things right in life; it will always come up with answers based on a proper assessment of a situation and is generally very positive. This bit we don’t share with other animals, which is why you don’t see dogs driving around in cars or inventing mobile phones with keypads to suit their paws. But there’s another bit and this is our primitive bit. This is the original bit (to be technically correct it is the second bit to evolve, before that was the reptilian brain, but we don’t need to be concerned with that just now) The primitive part we’re talking about here is technically the Limbic brain, our mammalian brain which we do share with animals. 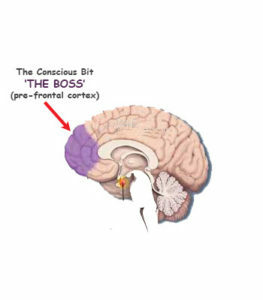 The central and influential bit of this is the Amygdala, the bit that we refer to as the flight/fight centre and this works very closely with two other primitive bits, the hippocampus which holds our primitive, and sometimes inappropriate behaviour patterns or habits and then there’s the hypothalamus which regulates the chemical responses in our body and mind. Imagine that you go outside the house and there was a sabre tooth tiger in the street, what would happen? Well, your heart rate would go up, your stomach would start churning, you would get all sweaty and you would be off like a shot. This is entirely appropriate for sabre tooth tigers and you would be pleased, but the same thing tends to happen in modern life; when your anxiety levels go up – and it can be a gradual process – you lose intellectual control and, to a greater or lesser extent, the primitive brain steps in and takes control. Or a combination of all three, we’re actually very good at doing all three simultaneously. Anxiety, depression and anger are all primitive opt out clauses and, if you think about it, it would be appropriate back in those primitive times, it was a dangerous world. If you had been out in the jungle hunting or picking berries or doing whatever you did in jungles back then, there would be danger all around and I doubt you would be far away from your panic button. But if you couldn’t go out because there was snow or ice or danger outside your cave, you would probably go back inside the cave, pull a rug over your head and not interact with the world until the situation changed – this is how we behave with depression. So, whenever your primitive brain thinks that there is some sort of crisis, emergency or danger it steps in and reacts in this way. It always looks at the worst possible scenario – appropriate for sabre tooth tigers, you’re not going to assume it’s already eaten down the road before you saw it, of course you’re not, you are going to think, its going to attack you. It is very vigilant, it’s not going to let you forget there is a sabre tooth tiger outside, it will keep reminding you, so although you can distract yourself with something else, when you stop, it will bring your attention back to your problems. But this primitive brain is NOT an intellect, it can’t work out what to do about a situation, it can’t come up with solutions, all it can do is refer to previous patterns of behaviour. If, whatever you did yesterday, or last time you invoked the same feelings or circumstances, you survived, then you will be compelled to do the same thing again. 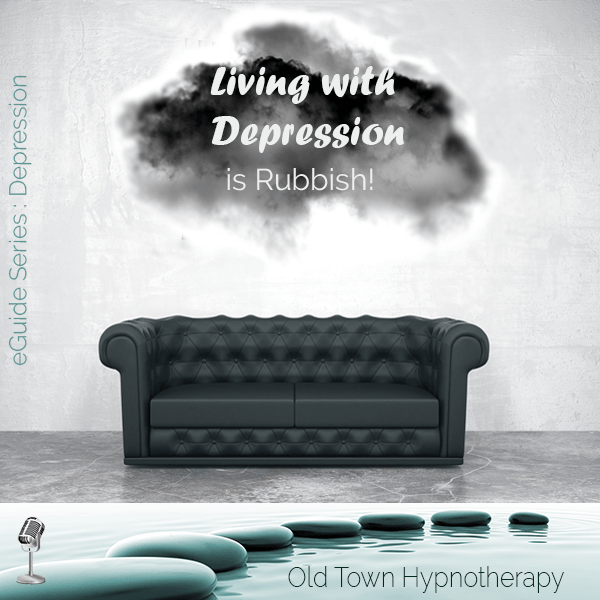 This is where, as things get more extreme and embedded in the primitive brain, people develop habits, OCD, behavioural disorders, eating disorders, rituals etc or – common in depression – withdraw from the world, retreat into your cave, pull the duvet over your head and push the world and your problems away. It is about survival, so it will look at everything in terms of how it applies to you and it will make everything about you. It becomes paranoid about other people and what they’re thinking and it makes assumptions that other people are thinking negatively about you. It thinks in terms of all or nothing. It comes from a time of kill or be killed, eat or be eaten. To this brain, there is no grey area in the middle so it will tend to think – this always happens to me, I’ll never get out of this, I can’t do any more than I’m doing, why are the lights always red when I’m late for work, you never say you’re sorry. etc None of that is true of course, but this primitive brain looks at the negative and makes it an all or nothing situation. This is important because while you are locked in your primitive brain, looking at everything in a negative light, suspicious of everything and everyone, your intellect is not able to work out solutions and you become more and more obsessed with the problems. This part of your brain cares only about keeping you alive, it’s not rational, it doesn’t care if the behaviour is appropriate or even makes any sense to your intellectual brain; if it keeps you alive, then it’s done the right thing and it will make you do it again next time. So, to clarify, when your anxiety levels go up, the primitive reactionary brain takes over and compels you into repetitive actions. Anorexia and Bulimia as clearly unfortunately examples. When their condition becomes noticeable to others around them, it is already a serious psychological manifestation of anxiety and they are operating from their primitive brain. Immediately everyone around that person, in their best intentions to help, focuses on the food. The person suffering from the disorder is already focusing on food 24/7, they do not need any help to focus on it even more. As pressure grows around the person to make them eat more, that pressure turns into anxiety which keeps them locked in their primitive brain following the same habits and patterns of behaviour, compelled to starve or purge. Intellectually and rationally of course, we know that starving yourself isn’t a particularly effective survival strategy, neither is checking the front door is locked ten times, or going through two hours of rituals every night before you can sleep, or smoking of course. But none of these habits or symptoms are coming from your intellect, they are originating from your primitive brain which doesn’t understand the difference between a sabre tooth tiger and a bill arriving through the letterbox either. 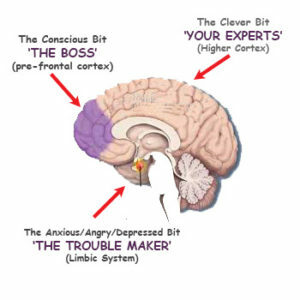 The bottom line is that if you want to cure yourself of any of these symptoms or the anxiety or depression that is the route of the cause, you need to learn how to stop creating the conditions that are leading your primitive brain to believe their is some sort of crisis, emergency or danger in the first place so your intellectual brain that regain control. 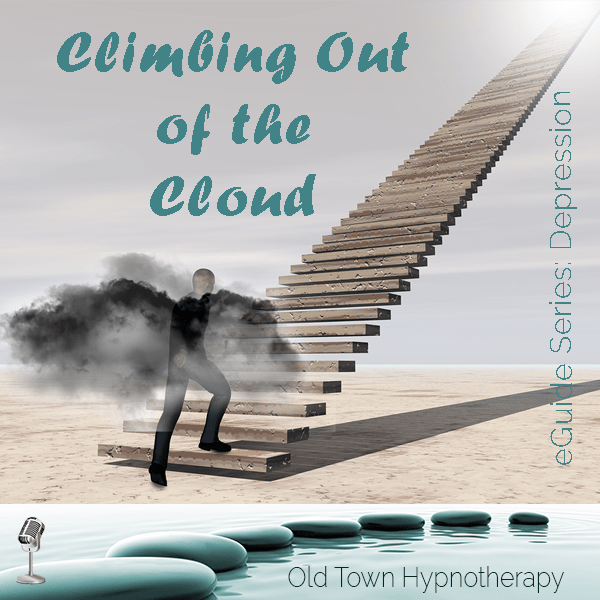 When you do, you don’t need to struggle with these symptoms any more, they just fade away.